This pretty bunch of roses colouring card is perfect for Mother's Day, a summer birthday, or perhaps Valentine's Day? This colouring card features one simple, perfect rose on the front. Colour it in and give it to someone special, perhaps for a summer birthday or Valentine's Day? This pretty rose colouring page has the background done for you - but there's still lots of detail to colour in. Perfect for older children. This simple outline rose colouring page is perfect for younger children, but I'm sure anyone would be happy to receive this when it is done! Here's a beautiful rose heart to colour in for Valentine's Day. 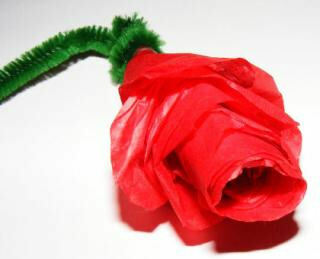 Make it a red rose for true love!